Surgical procedures on atlantoaxial dislocation remain controversial. The aim of this observational retrospective study was to investigate the treatment algorithm of surgical procedures. According to CT and intraoperative evaluation during direct posterior reduction, 135 AAD cases were categorized into three groups: Group I: reducible dislocation; Group II: irreducible dislocation (Group IIa: effective decompression achieved after posterior reduction; Group IIb: no effective decompression after posterior reduction); and Group III: fixed dislocation. Group III presented with extensive bony fusions. Group I and Group IIa were treated with direct posterior reduction and fixation. Group IIb underwent posterior fixation and transoral odontoidectomy. Group III underwent transoral odontoidectomy alone. Japanese Orthopedic Association scores (JOA) were assessed to evaluate clinical status before and 6, 12 months after surgery. Our study included 118 Group I cases, 16 Group II cases (Group IIa: 11 cases; Group IIb: 5 cases), and one Group III case. Follow-up ranged from 12 to 36 months. Primary outcome: Anatomic atlantoaxial reduction was achieved in 118 of 135 patients (87.4%). Clinical improvements were seen in 96.3% (130/135) all the patients. Solid atlantoaxial fusion was shown in 134 patients. Secondary outcome: The overall complication rate was 3.7% (5/135). For Group I, the mean postoperative 6-month JOA was 14.5 versus 12.2 in preoperative patients (paired Student’s t test, P < 0.01). 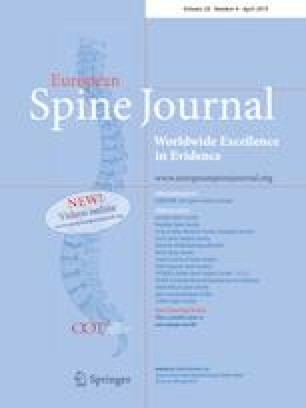 This article proposes a clinical procedure that assists with therapeutic decision making and indicates the severity and difficulty of reduction of the atlantoaxial joint. The online version of this article ( https://doi.org/10.1007/s00586-018-05869-z) contains supplementary material, which is available to authorized users. This research was funded by the innovative plan of Beijing Hospital Authority (Grant ID: PX2017002); general project of Beijing Natural Science Foundation (Grant ID: 7172091); Capital developmental innovation project of Beijing Municipal Commission of Health and Family Planning (Grant ID: SHOUFA-2018-2-2014).